There is nothing like a nice warm bowl of soup on a cold winter’s day. Maybe snow is falling, maybe you have just come in from a nice walk in the brisk air…maybe the kids have been out building a snowman. This is the soup to fill the bowl or mug and warm the tummies and hearts of anyone who eats it. The recipe comes from Cheryl at 40Aprons.com. I am so impressed with every recipe of hers that I try! 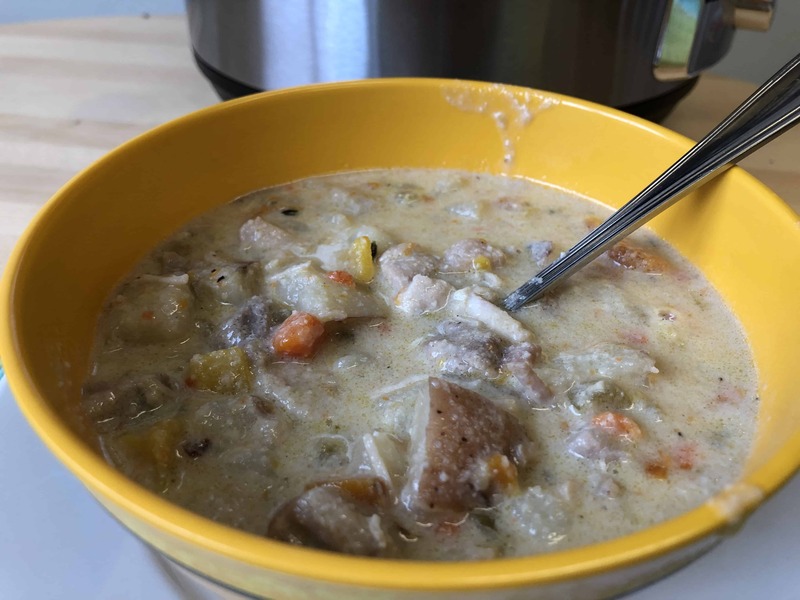 I have, of course, changed it just a little bit because I cannot help tweak a recipe…I added a whole can of the coconut milk, increased the amount of pepper, and I tried making the recipe with chicken thighs. I think the next time I make it, I will use the chicken breasts, like she has in the original recipe. 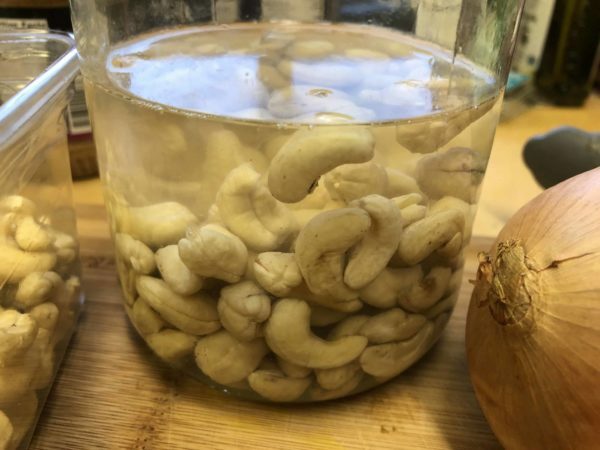 If you have never tried soaking cashews, blending them, and then using the resulting cashew cream, you are in for a treat. Creamy and delicious, it does not really taste like nuts, so it can be used in any number of ways in both cooking and baking. Here, it thickens and gives body to this delicious soup. I have also used cashew cream to make delectable desserts, like vegan cheesecakes. Like many soups and stews, this soup is actually better the next day. It is also thick and rich enough that you could use it as an actual filling for a chicken pot pie! 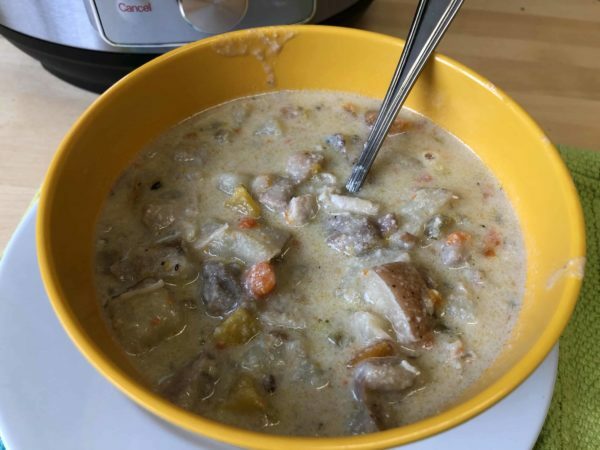 I am going to make this again for the weekend…it is supposed to be very cold here in northern Michigan and I want something in the Instant Pot that is filling, delicious, and brings comfort to those of us who live where the air hurts our faces! Put cashews in blender or glass jar and cover with hot water to soak. Prepare all vegetables and cut chicken. Push sauté on Instant Pot, when hot add oil. 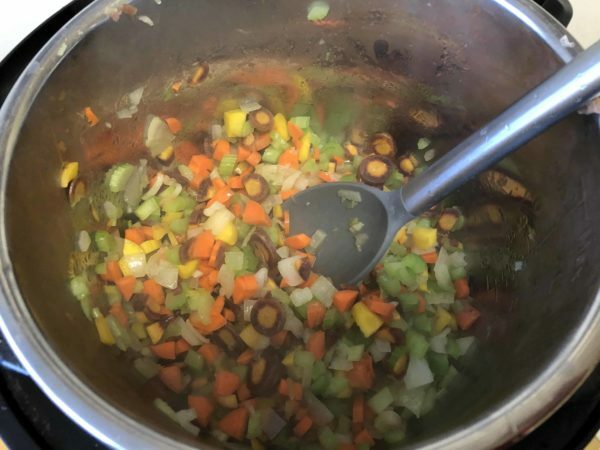 Add onions, carrots, and celery and cook for five minutes, stirring often. Add garlic and stir for 30 seconds, then deglaze the pot with 1 cup of broth. Add the rest the broth, potatoes, chicken and sprigs of thyme on top. Lock on lid, set toggle to sealing. Pressure cook on high for ten minutes. Allow a 5-10 minute natural pressure release. Release pressure and remove lid. Remove sprigs of thyme. 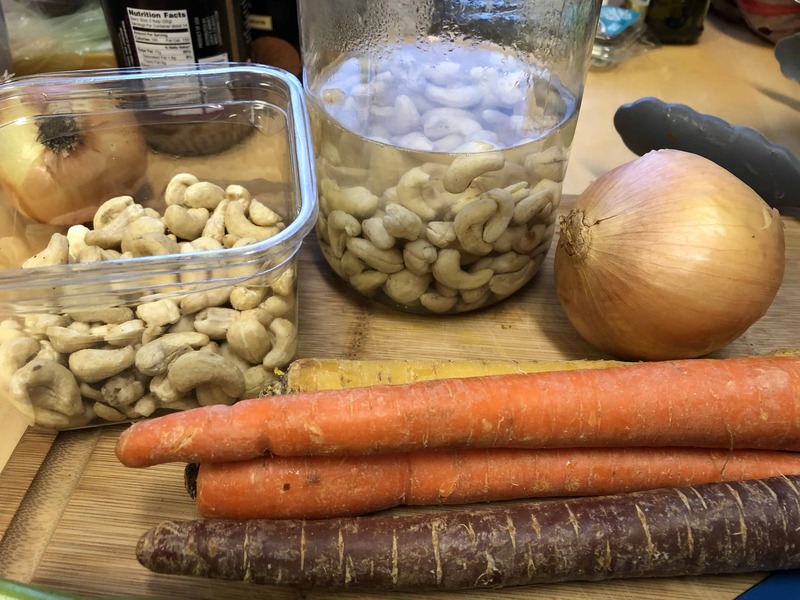 While the soup is cooking, drain the cashews and add entire can of coconut milk to blender. Blend on high until very smooth. Add to the soup after cooking. Stir well, add salt and pepper. Can use parsley and/or sage as garnish.